This month we are delighted to join forces with The Native Spirit Film Festival and the Bloomsbury festival in London. We will be exhibiting the breathtaking portraits of fine art photographer and social justice advocate Cara Romero at the Crypt Gallery. The exhibition ‘Life Blood‘, curated by Ash Kotak, explores activist art as realised by a group of international artists, film makers, writers and a poet. ‘Life Blood‘ opens on Thursday 18th 6.30-8.30 and ends on Sunday 21st October with a day of ‘Activism & Art‘ events. 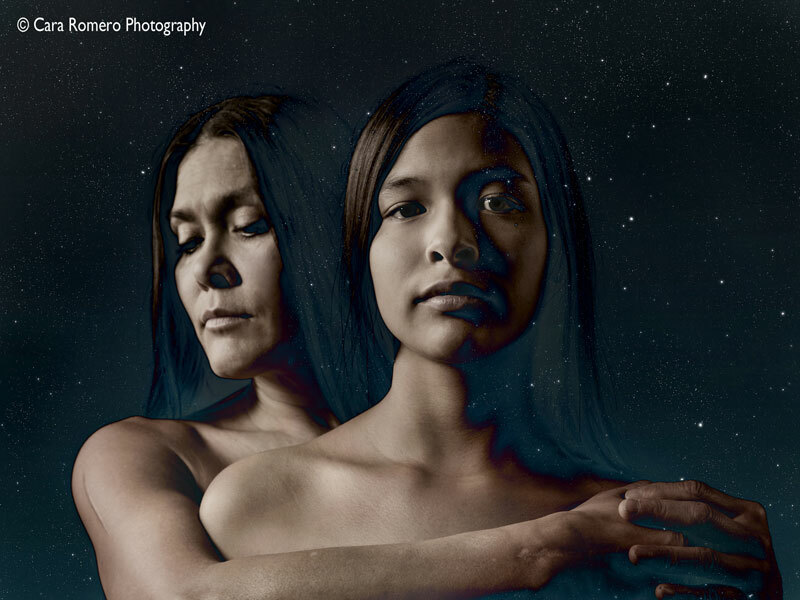 At 3pm I will be speaking about the work of Cara Romero, her evolution as an artist and her mission to shift perceptions of Indigenous people and cultures. Following my talk, there will be a candid discussion with a group of Native American women about the tragic situation of ‘Murdered and Missing Indigenous Women and Girls’ #MMIW. If you are in London please come along to the Crypt Gallery between Thursday 18th and Sunday 21st October. The Native Spirit Film Festival launches on Thursday October 11th and presents ten days of excellent International Indigenous films in venues across London.